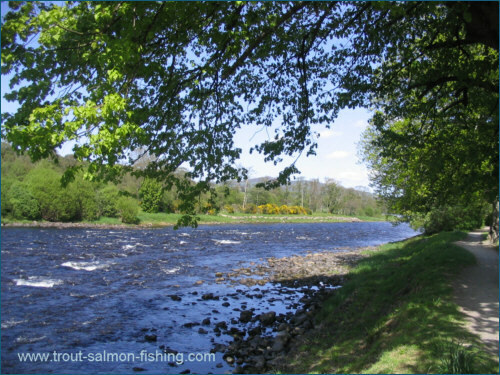 The salmon fishing on the middle and lower Spey is among the best in the world and, consequently, highly sought after. 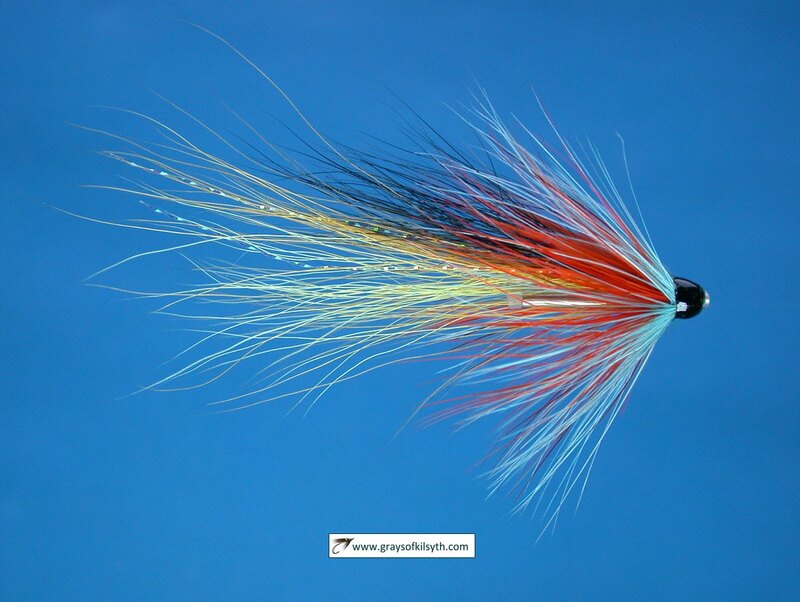 Anglers come from far and wide to cast a fly on hallowed beats such as Castle Grant, Tulchan, Ballindalloch, Carron, Wester Elchies, Arndilly, Rothes and Delfur, all offering some of the most attractive and productive fly water imaginable. 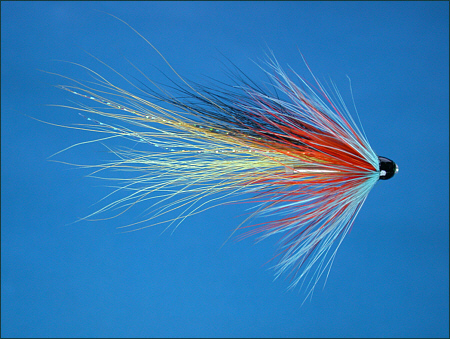 Of course such famous salmon fishing beats are expensive and inaccessible to many. 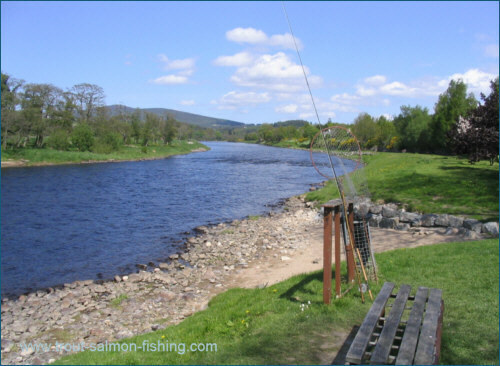 Fortunately, for the angler of modest means, there are several angling associations on the Spey which offer salmon fishing to the visitor at more affordable prices. 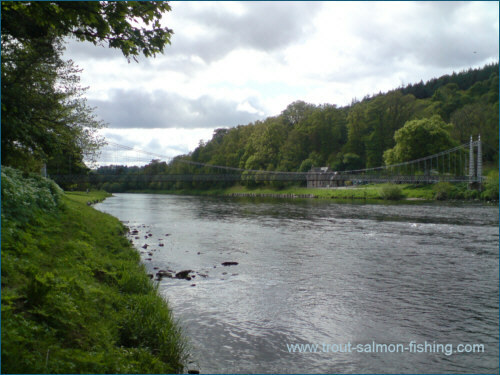 One such association is based in the Speyside village of Aberlour. 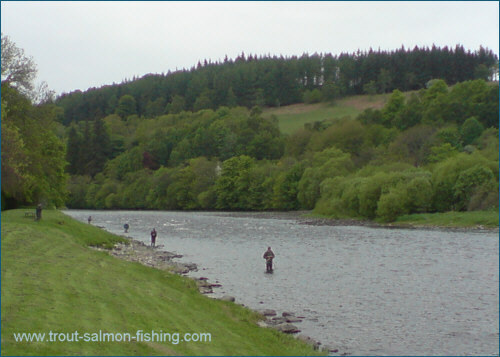 The association water sits on the right bank of the lower middle Spey, opposite Wester Elchies, which John Ashley-Cooper once described as having "perhaps the finest pools of all", while immediately above and below are Kinermony and Craigellachie. 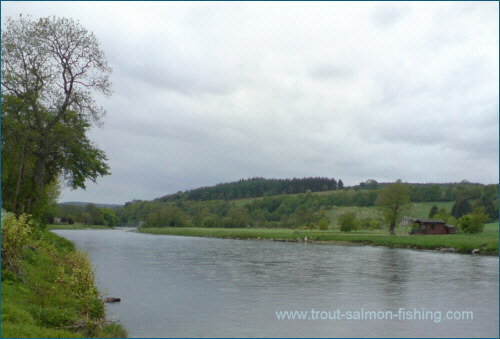 The association water can be expected to offer fine fishing, particularly during the prime spring and early summer months of May and June. 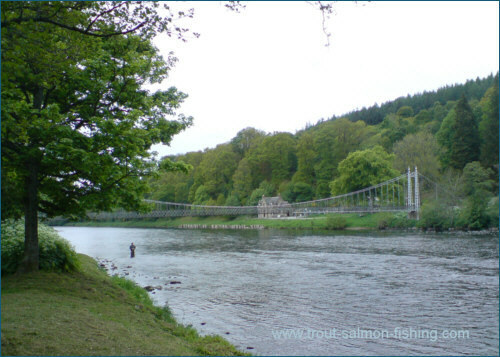 With this in mind, and knowing that the limited number of visitor permits would be in high demand, I had booked a week's fishing, at a cost of Â£150, for the third week in May 2008. 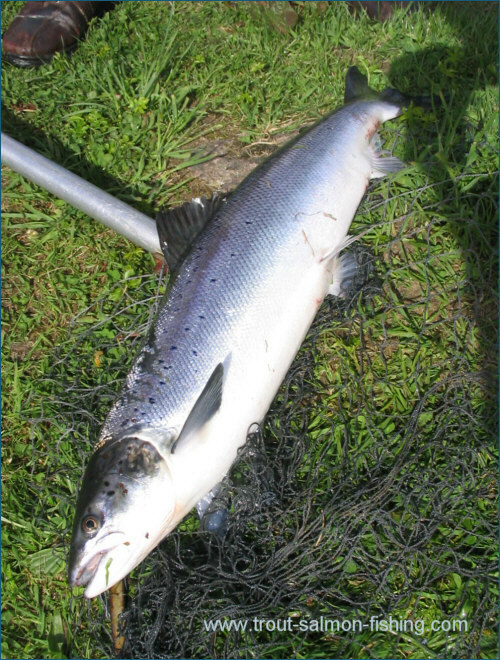 Having collected my permit from Munro's tackle shop, I made a start on Monday morning, on the Creepie pool, where I soon found myself netting a lovely sea liced springer, taken by a local rod on a Toby. 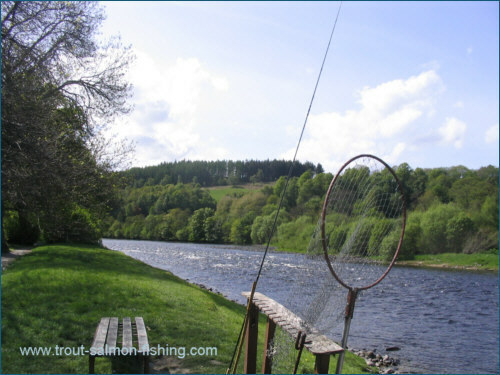 A good start .... and it got even better when, only minutes later, I myself hooked a lively salmon on the fly, only to lose it after a short but intense battle. 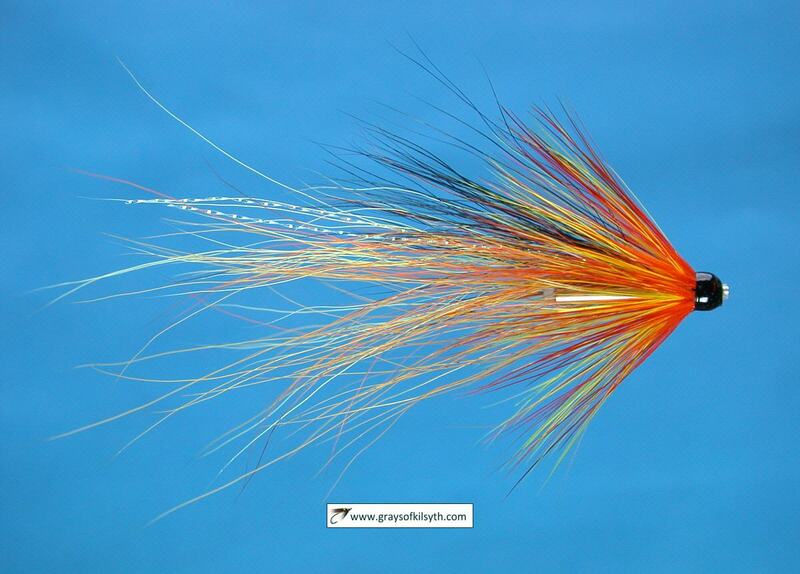 The following morning, I again hooked a good fish in the fast water below the Sandy Hole. 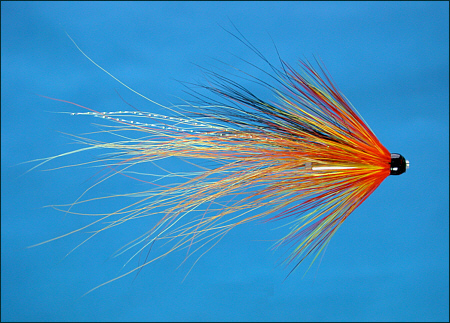 I played it sensibly, I thought, but again, after a couple of minutes, the fly was thrown back at me and the fish, well into double figures by the feel of it, was gone. The river continued to drop during the week and I had no more offers. I had lost my chance. 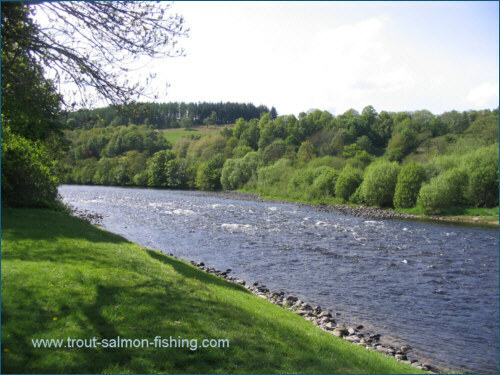 Like any association water, Aberlour can get busy at times but it has some of the nicest, and most productive, pools on that part of the river. I will certainly be back. 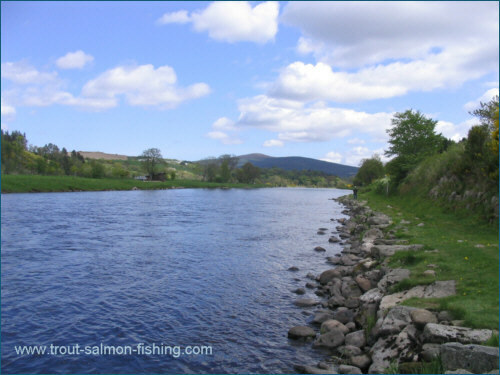 Below are some photographs of the Aberlour association water, taken in May 2008 with the river running fairly low.